18th annual Andiamo Benefit Motorcycle Run. Each year they raise funds for various causes in the New Jersey area. Over 800 bikes were involved this year; it was quite the show! 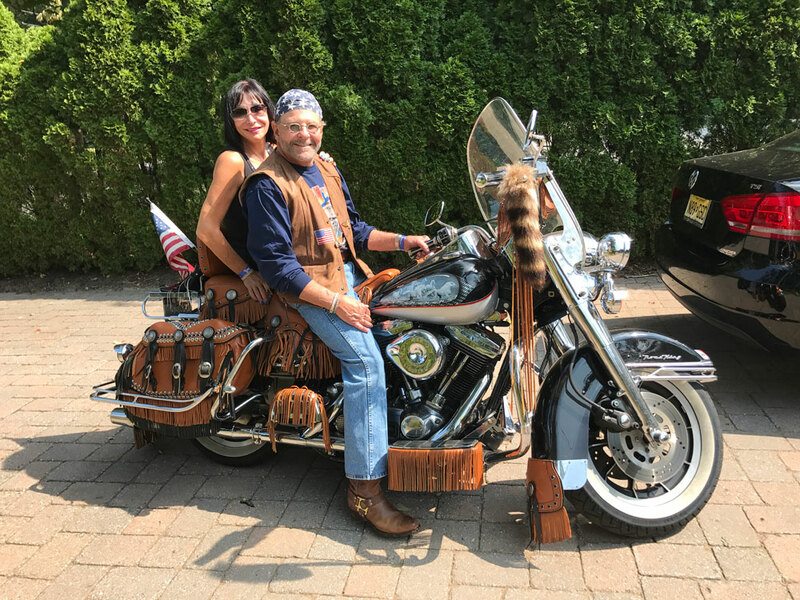 Dr. Bruce of course was on his decked out motorcycle with his biker babe Rhonda riding shotgun. Look at all that fringe! Groovy baby! And even their adorable grandson got in a ride! The organizers will be deciding soon how to allocate the funds raised from this year’s run, but past recipients have included Englewood Hospital & Medical Center, Law Enforcement Torch Run for Special Olympics New Jersey, Scholarships at St. Therese’s School, Police Unity Tour, Haworth Ambulance, New Jersey Motor Officer Training Association, and more. To learn more about the Andiamo Benefit Motorcycle Run and how you can become a sponsor or participant, please visit their website.